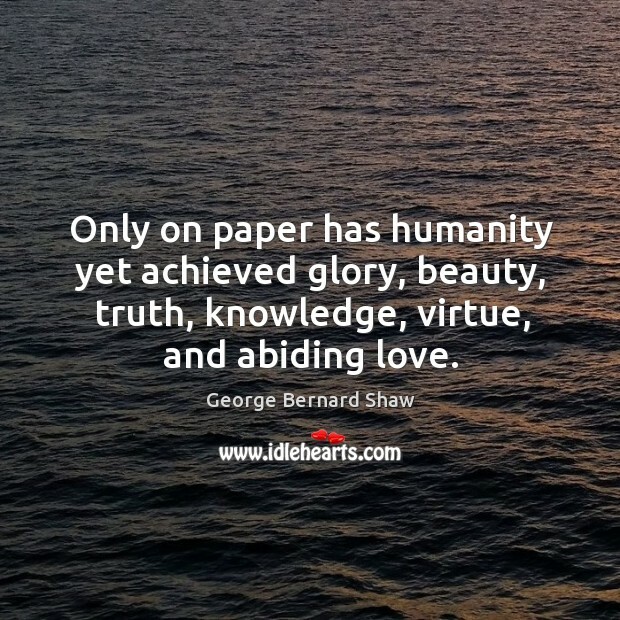 Quotations about Abiding Love. Quotes to stimulate mind and drive action! Use the words and quote images to feed your brain inspiring things daily! If we don't help each other, who will? She surrounded herself with books at work and at home. 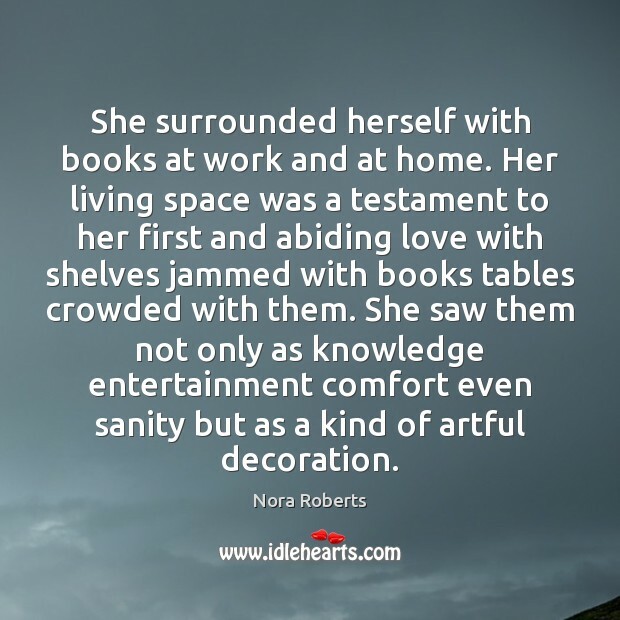 Her living space was a testament to her first and abiding love with shelves jammed with books tables crowded with them. She saw them not only as knowledge entertainment comfort even sanity but as a kind of artful decoration. She gestured toward his very fine chest with her pencil. “On the off chance I find out after we’re married that your declaration of abiding love and devotion has been an elaborate con job perpetrated by you, Bodie, and Scary Spice…” He massaged her arch. “I definitely wouldn’t lose too much sleep over that.” “Just in case. You will give me all you worldly goods, shave your head, and leave the country.” “Deal.” “Plus, you have to hand out your Sox tickets so I can burn them in front of your eyes. 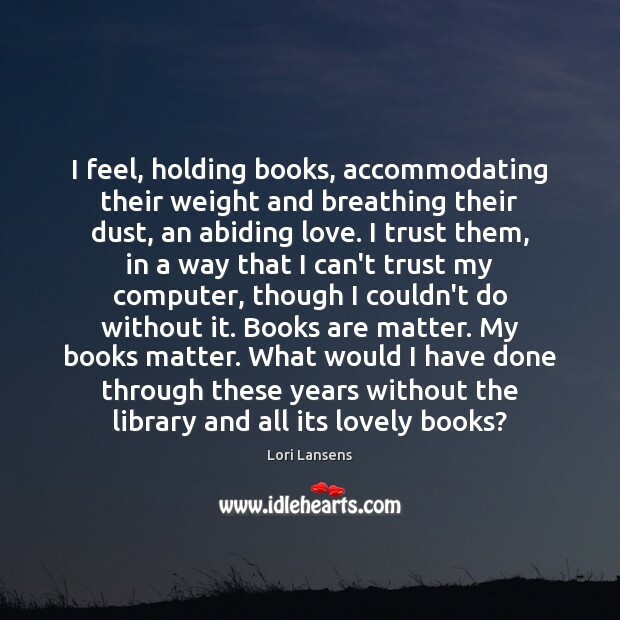 I feel, holding books, accommodating their weight and breathing their dust, an abiding love. I trust them, in a way that I can't trust my computer, though I couldn't do without it. Books are matter. My books matter. What would I have done through these years without the library and all its lovely books? love is undying,of that I feel certain.I mean deep,abiding,cherishing love.The love that gives protection even as you,my guardian angel,gave me protection long after you had gone-and continue to give this very day... A love beyond Death-a love that makes Life alive! 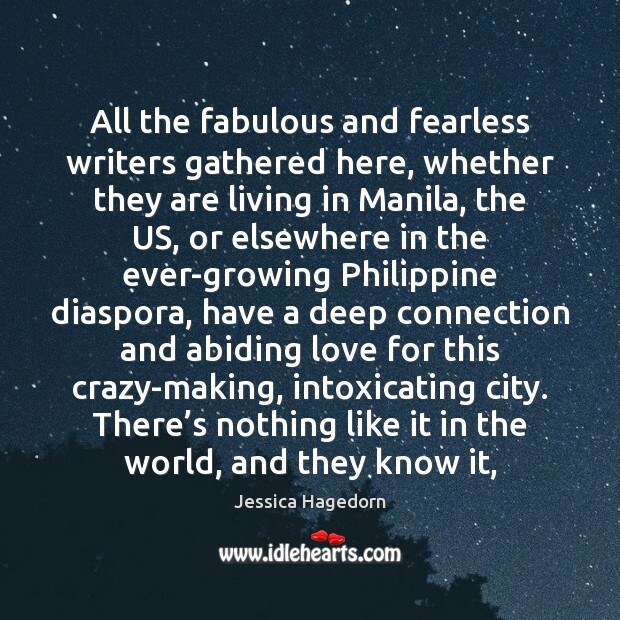 all we have is our deep and abiding love for each other. 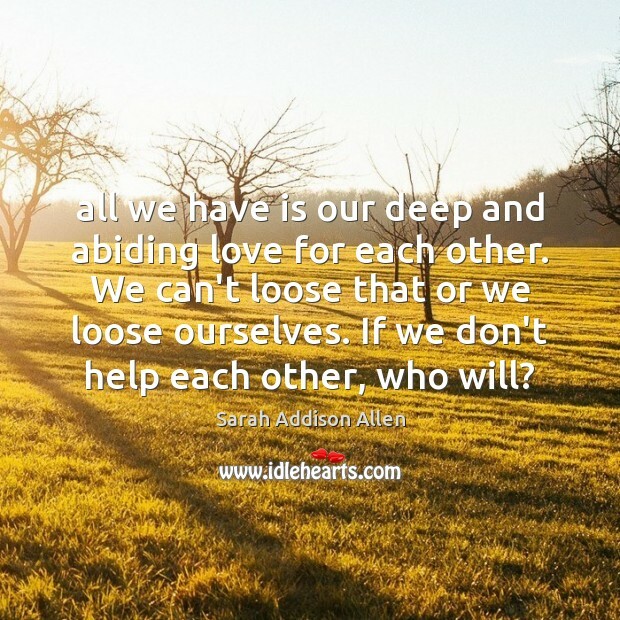 We can't loose that or we loose ourselves. 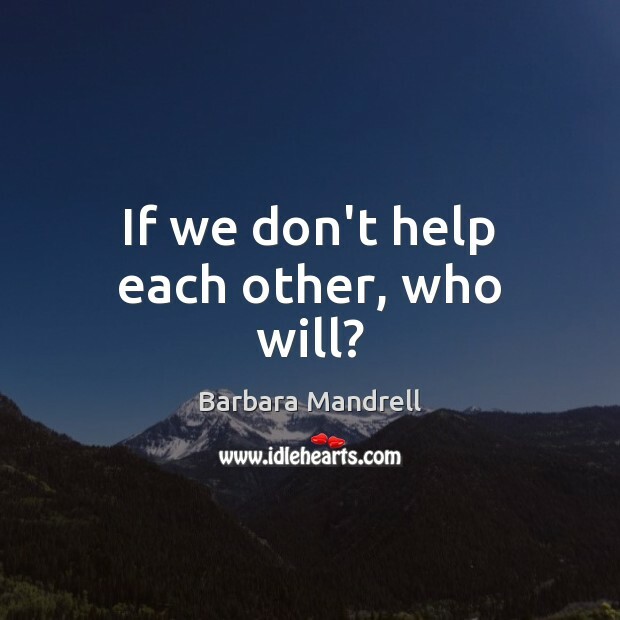 If we don't help each other, who will? At the center of the universe, is a deep abiding love. 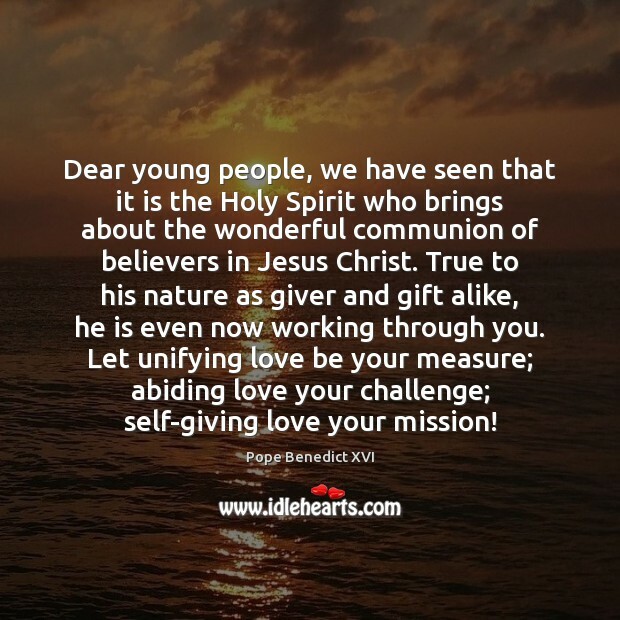 We are called to be part of it. We Catholics and Christians are not ashamed to believe this. 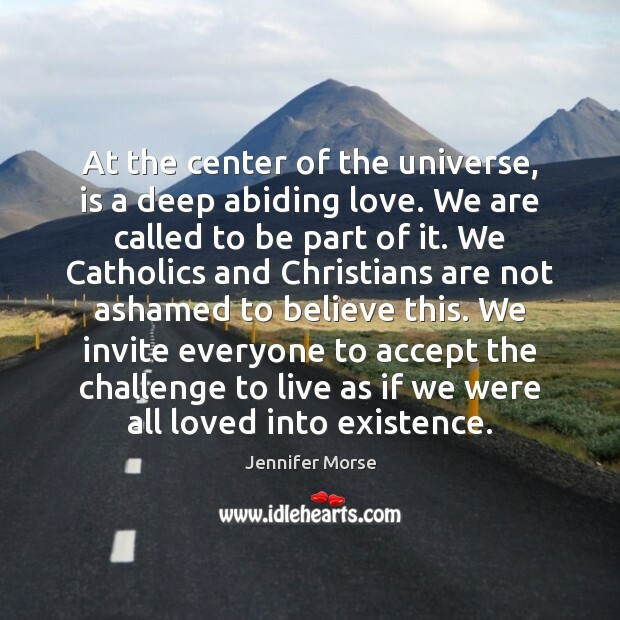 We invite everyone to accept the challenge to live as if we were all loved into existence. The ultimate replacement for any of the false gods that are a part of our lives is a deep and abiding love of God. We must also learn to exercise faith in Jesus Christ and the redemptive and enabling power of His atoning sacrifice. 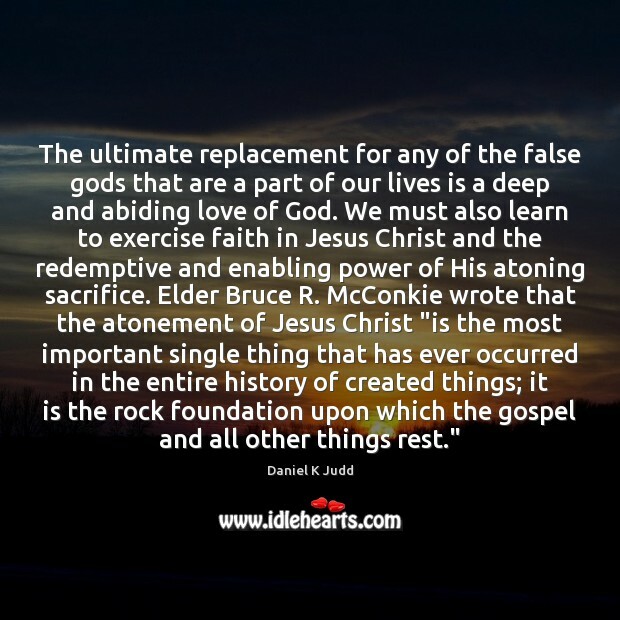 Elder Bruce R. McConkie wrote that the atonement of Jesus Christ "is the most important single thing that has ever occurred in the entire history of created things; it is the rock foundation upon which the gospel and all other things rest."